Fifty-five years after fighting his way across Italy, France, and Germany and being among the first Americans to open the gates of the Dachau concentration camp, Virgil Westdale is being honored for his service to his country. Westdale, along with members of the 442nd Regimental Combat Team, will receive the Congressional Gold Medal on Wednesday, in Emancipation Hall of the United States Capital Visitor Center. Westdale was assigned to the 442nd because of his ethnicity. He is half Japanese, which during WWII meant suspicion, prejudice and denial of his true war-time gift as a pilot. His license was revoked, his background checked by the FBI, Navy Intelligence and the War Relocation Authority. Westdale got his private flying license back in 1942, but didn’t fly during the war despite promises he would pilot observation planes as part of the Air Corps. 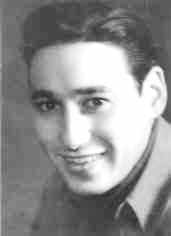 He was eventually transferred to the Army’s 442nd, a combat team whose officers were all Caucasian and whose soldiers, called Nisei, were Japanese-American. The 442nd is one of most highly decorated units in U.S. military history. He left American soil on May 2, 1944, landing in Italy on May 26. The 442nd left Rome for the north, fighting Germans all the way. They headed into France, where the 442nd participated in one of the greatest rescue efforts of the war. Westdale, along with the other members of the Japanese-American 442nd, were ordered in October 1944 to break through heavily fortified German lines to rescue the 141st, known as the Lost Battalion. The Americans were trapped on high ground, surrounded by German troops. The 442nd broke through, saving 211 soldiers from Texas but taking over 800 casualties. The 442nd moved into Germany, and by April 29, 1945, stood at the gates of Dachau. “Two of our guys shot the locks off the compound to let the prisoners out, but they wouldn’t come out because they thought we were the Japanese army,” said Westdale. The 442nd not only liberated the Dachau prisoners, but shared food and blankets with them and scrounged supplies from the neighboring German town. “The misery we witnessed was unbelievable. Some of the guys snapped photos of the bodies stacked like cords of wood. We saw the gas chambers and the ovens, which were still hot when we arrived,” said Westdale in his book “Blue Skies and Thunder,” released in January 2010. The book is the record of Westdale’s life, from his birth in 1918 in Indiana to his retirement from the Transportation Security Administration at age 91. Westdale spent his post-war years in business as, first, a chemical engineer for Burroughs in Detroit and later as principle scientist for AM International in Chicago. He holds 25 patents. Westdale’s son and two daughters will accompany him to Washington D.C. for the ceremony and dinner event. While the original medal will go to the Smithsonian, recipients will receive a replica of the 3-inch-diameter medal. Bill S1055, which approved the awarding of the medal, was signed by President Barack Obama on Oct. 5, 2010. The medal was then designed, approved by committee and the Secretary of the Treasury, and finally minted. 442nd VETERAN (87) STILL PROTECTING U.S. SECURITY. Virgil Westdale, whose name was Virgil Nishimura when he was born the son of a Japanese immigrant, came out of seven years of retirement in 1995 to work as an airport screener after TSA took over all airport screening under the Department of Homeland Security in 2002. Mr. Westdale, whose postwar career was that of a distinguished engineer with 25 patents, continues to work full-time as an airport screener because he wants the American people to be protected from terrorism. Michigan’s U.S. Senator Debbie Stabenow, in recognition of Mr. Westdale’s receipt of the TSA award, presented a U.S. Senate Certificate of Congressional Recognition for "your outstanding service to protect the Nation’s transportation systems. Virgil has demonstrated throughout his life a strong work ethic, a love of his country and a dedication to public service that would stand out in any field of endeavor," Stabenow said. "I was pleased that the Transportation Security Administration chose to recognize Virgil as an exemplary employee in his latest career – helping to make air travel more secure and the rigors of security more pleasant as a screener at Gerald R. Ford International Airport." Westdale’s passion for aviation goes back to his youth, though it was not to be completely realized. On October 14, 1941, at age 23, he borrowed $40 for flying lessons. Five months later he received his private pilot’s license through the Civil Pilot Training Program at Western Michigan College. One month later, he began acrobatic flying under a government program, the War Training Service. In early 1942, his flying was abruptly terminated when a Federal Aviation Authority inspector approached Westdale and, without explanation, confiscated his pilot’s license. After six months, around October 1942, Westdale’s pilot’s license was returned to him and he was reinstated as a pilot in the Army Air Corps Enlisted Reserve in Detroit, Michigan. Westdale, who is part Japanese and part Caucasian, was concerned that the name Nishimura would jeopardize his flying career. In his desire to conceal his Japanese ethnicity, he changed his name from Nishimura to the closest English translation: West (nishi) dale (mura). He resumed his flight training and ultimately received his instrument rating and commercial pilot’s license. He became an instrument flight instructor on May 30, 1943. In the fall of 1943, he received orders that transferred him from the Air Corps to the Enlisted Reserve Corps unassigned and was placed on kitchen police duty. At that time, he did not know that his goal of flying for the Air Transport Command was vanishing. A month later, Westdale was transferred to the Japanese American 442nd Regimental Combat Team at Camp Shelby, where he was assigned to Company F as a Browning Automatic Rifleman and flamethrower specialist. When training was completed in March 1944, Westdale found that he would be transferred to the 522nd Field Artillery Battalion, an entity of the 442nd Regimental Combat Team, where his pilot’s training could be utilized by the Air Observation Section, which had two observation planes. Westdale believes this assignment came about because his sister wrote to Mrs. Eleanor Roosevelt, a champion of civil rights for minorities. After a few weeks, Westdale was transferred again this time to the Fire Direction Center, which received the information from the air observers and translated it into target coordinates. He remained with the Center throughout his 522nd assignment. The 522nd provided pin point artillery support to the regiment’s three infantry battalions in six campaigns in Italy and France. Although the 522nd guns were positioned in protected zones, the survey personnel were positioned at the front lines, frequently in heavily mined areas, to radio back tactical target information. By this time the fighting prowess of the 442nd RCT was well known and Army commanders competed for their services. Lt. General Mark W. Clark, Commanding General of the 5th Army, requested their return to the Italian front to breach the enemy defense in the Po Valley campaign. Lt. General Alexander M. Patch, Commanding General of the 7th Army, who was familiar with the Japanese American military intelligence performance in Guadalcanal, where he previously served, wanted them for the impending invasion of Germany. Lyn Crost, in her book, Honor by Fire, noted that apparently a compromise was reached whereby the 522nd Artillery was assigned to General Patch and the infantry units of the Regimental Combat Team were assigned to General Clark. The 522nd Field Artillery Battalion, was deployed to Germany on March 9, 1945 and would travel 1,100 miles across Germany to the Austrian border serving the 7th Army infantry elements that needed the 552nd support. In this advance into Germany the 522nd arrived on April 29, 1945 at Dachau Jewish extermination camp, northwest of Munich, for an unforgettable experience. This death camp, plus other sub camps in Dachau had over 32,000 starved and emaciated political prisoners including 10,000 slated to be literally worked to death and cremated. Westdale was advancing with the 522nd artillerymen who shot the locks off the gates of Dachau. He said the German guards had fled hours earlier when they learned of the arriving 7th Army. The Jewish inmates were confused when they saw the Japanese Americans thinking they now would be killed by the Japanese who had come to assist the Germans. The Japanese Americans soon were able to prove they were indeed Americans. Westdale recalled that "we were ordered not to feed the inmates as the food and drink would make them sick, however, we violated those orders while the officers looked the other way. We gave the Jewish inmates assurance and shared our blankets, medical supplies, food rations, and clothing as it was cold and there was still snow on the ground." A bond of friendship has since developed between the Japanese Americans and former Jewish inmates who have since visited Hawaii for reunions. Westdale said "I cannot imagine human beings committing such acts of genocide against fellow men. While I regret I was not accepted as an aviator, I am pleased to have been a member of the American forces to help the Jewish people end their misery. During the past 60 years, never a day has passed without remembering the days of late April 1945 at Dachau feeling sad for the perished and glad for the survivors". 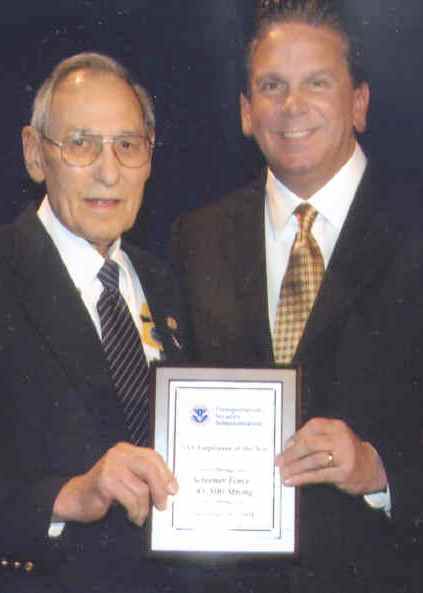 When Mr. Louis Abramson, the National Commander of the Jewish War Veterans of the USA, a Veterans Service Organization of the Department of Veterans Affairs, was informed about Mr. Westdale and the 522nd assistance to the Dachau inmates, he said "Virgil Westdale embodies the spirit and fortitude of "The Greatest Generation" as he and his unit helped to liberate the innocents who had been caught up in the horror of the Holocaust and incarcerated at Dachau. The acts of humanity of the 522nd toward those who had been prisoners of the greatest evil of our time represent the ultimate capacity for good and decency. As Mr. Westdale never forgets those whom he helped to liberate, the world will never forget the victory against evil achieved by Mr. Westdale and the men of the 522nd." facturer, as a principal scientist, where he designed products for the toner industry. Some of his innovations have revolutionized the print industry and are in use today. In 1983, he received the prestigious research and development award "for the advancement of the graphic arts industry" from the International Association of Printing House Craftsmen in Calgary, Canada. Cheri Budzeak, Westdale’s daughter, remembers her father’s generation with pride. "Since my family lived inland, they were not incarcerated in internment camps like the 120,000 from the west coast of the US. They had their radio taken away so they could not "communicate with the enemy." I'm very proud of what the members of the 442nd did. They displayed a dignity unheard of today and were motivated by the desire to prove their loyalty to our country. Whether it was their desire to be the best military unit they could be or their desire to prove their loyalty, they proved to the country that their loyalty should never have been questioned. They didn't do it by protesting or whining. They did it with their blood. They quietly let their record stand for itself and returned home to much of the same prejudice. Many lost their land and their property, but not their dignity. They are still teaching us today about prejudice and dignity. Their sacrifices have gone a long way to leveling the playing field for Japanese Americans." Mr. Westdale retired in 1988, but his desire to interact with people and to make airline travel safer drove him, at age 77, to apply for the position of airport passenger screener. In 2002 his work folded into the Transportation Security Administration, where he believes he has the ideal position. Comparing this work with his WW II combat duties, Westdale said "it is a little different type of fight. That was direct and this is a bit more indirect," explaining that a friendly smile and wary eye are his weapons now. If he can’t fly, the next best thing is this job and spending one or two nights per week dancing (ballroom, swing and tap), Westdale said. Mr. Westdale has three children: Cheri Budzeak and Terri Watson both of Colorado Springs, Colorado and Fred Westdale of Grand Rapids, Michigan. He also has seven grand children. Blue Skies and Thunder: Farm Boy, Pilot, Inventor, TSA Officer, and WW II Soldier of the 442nd Regimental Combat Team.